This verse indicates that faithful people of God in the Old Testament had been forced to live underground, in deserts, and hid in dens and caves (as were prophets in 1 Kings 18-19). They were a shunned and disparaged because of their faith. They were not just typical Jewish followers but were despised for their deep faith and conviction within broader Judaism. They were living amongst Jews but were still shunned and seen as an abhorrent sect within Judaism. In the Church today, there is also sectarianism, as in many other major/established religions. Parts of the Christian church also face disparagement and shunning because of their deep faith and conviction. They are not only persecuted by people of different or opposing religions, but from followers of the same religion. I’m glad we don’t are not as separated by denominationalism as we formerly were. There are still subtle differences but we have come a long way in being respectful of our religious and spiritual differences. I appreciate that it’s our differences that make us unique and special. I have brothers and sisters in the Lord who went from borderline fence-walkers to devoted Christian believers. I also some dear friends who went the opposite direction and/or stopped attending church. Our society is multi-faceted. Some of us want more devotion and deeper spirituality. Some of us want less or nothing of the sort for various personal reasons. Despite our personal convictions, God is still sovereign and in control, so who are we to judge others for their deep faith or lack of it?! May we who are faithful, endure, hold-on, and remain thankful for the sacrifice of our spiritual and religious ancestors who paved the way for us. It made our path of devotion and service to the Lord a little easier to walk. God gives each of us strength to follow him; and faith is given to each generation–even this generation, from Baby Boomers to Millennials to generation Z. God is forever faithful to us. The contemporary church has failed to appreciate the value of art, artists, and artistry as an expression of our worship. The Protestant Church in the 16th century expelled much of art and believed that it was unnecessary and extraneous from the core of the gospel. This is why we have not seen much Christian art since the rise of Protestantism. In the Old Testament (14-13th c. BCE), God had Moses commission the best of the artists, Oholiab, to design items of worship for the sanctuary. These items were not merely for practical uses, but were also meant to be beautiful and artistic–thus, demanding the best of the best artisans to design and craft the holy hardware. During the exile of Jerusalem, the Babylonian King, valued the artists so much so that they were taken captive along with the best military officers, soldiers and craftsmen. Art was highly valued in worship and is common in all cultures. Why should Christianity not also value artistry in our worship of the Lord? Can we be totally devoted Christians without hiding away in monastery or convent? How do we do it in the marketplace without being beaten down for our faith? Under Emperor Constantine in the Roman Empire, by imperial decree, everyone was baptized as an infant and understood to be a Christian. To become a Christian was difficult because everyone else was already considered a Christian. The difference between the Christian and the “Christian life” became blurred. Rather than help the Church, this may have hurt it. There were Christians then who wanted to become seriously devoted Christians and made a personal decisions to give up everything to follow and serve God. To pursue a higher calling then meant becoming a monk or a nun and renouncing materialism and marriage. Monasticism grew. People even made vows to the evangelical counsel of poverty, chastity and obedience. In effect, this raised the bar higher. There was now more things to differentiate mainstream cultural Christians from those who sacrificed everything and committed their whole life to serve God. In the Protestant and evangelical world, we don’t have monasticism. So how can we express our devotion to the Lord Jesus without hiding away in a monastery? Can we boldly bring our Christian faith into the workplace without sacrificing our total devotion to God? It’s not easy, but I think it can be done. Are pastors an obstacle to the priesthood of believers? TC Robinson has a post “The Pastor: Obstacle to every member functioning”. He has raised a question in the blogosphere that has more of us thinking. It provoked something in me that saddens me because I think it is true. For many of the pastor-centric churches/congregations, the pastor has been an obstacle to a properly functioning congregation. The early church did not have pastors or priests like we do today but the church was able to function. The people held on to their faith in Christ and died in the name of Jesus Christ. The church didn’t die but prevailed in the face of persecution, trials and tribulations. Did the early church have sermons and teaching? Or prayers? Liturgy? Or hymns and songs? Probably, but they were not officiated by the pastor/priest. The laity or the people presided over the worship services way before there was ever a pastor as we know today. The bible mentions shepherds, overseers, elders and deacons, but my question is what positional authority did these positions include? If we removed the position and authority of the pastor as we know it today, would the church begin to function like it should–as a priesthood of all believers? Posted on October 30, 2009 October 30, 2009 Categories early church, ministryTags Christian education, church13 Comments on Are pastors an obstacle to the priesthood of believers? All Saints Day: any saints today deserving of recognition? In the earliest days, St. John the Baptist and the early martyrs were honoured by a special day. The earliest day was traced back to Sunday after Pentecost. During the persecution under Diocletian’s rule there were a great number of Christians martyred so this common day was appointed by theRoman Catholic Church (RCC). Gradually, more saints were added to the list of saints including patron saints recognized by the RCC, plus saints like Luther and Calvin added by protestant churches. 3) There must be another miracle attributed to his/her intercession. If a person meets these three requirements, then he/she is canonized by the Roman Catholic Church as a saint. Today, there are almost as many saints as there are days in the year. But why stop now? Today, I think many more saints of the Lord who are not Roman Catholic but are evangelicals. Protestants, evangelicals, and charismatics who claim numerous uncountable miracles are not as big on celebrating saints like the RCC but who are, nevertheless, deserving of the same commemoration as martyrs. Why not open All Saints’ Day to all deserving candidates? Are there any lesser-known saints you know of who deserves to be recognized by us today? Posted on October 28, 2009 October 28, 2009 Categories church, early church, evangelicalsTags All Saints Day, Roman Catholic, saints8 Comments on All Saints Day: any saints today deserving of recognition? I wish continue to blog about the history of the New Testament and continue with Luther’s German translation. Luther was a radical for his own time. His views of the bible and of theology was reason enough for the Roman Catholic Church’s high authorities to want to take his life. In 1415, the Church burned John Huss alive at the stake for his heresy. Thank God this is not the case today. 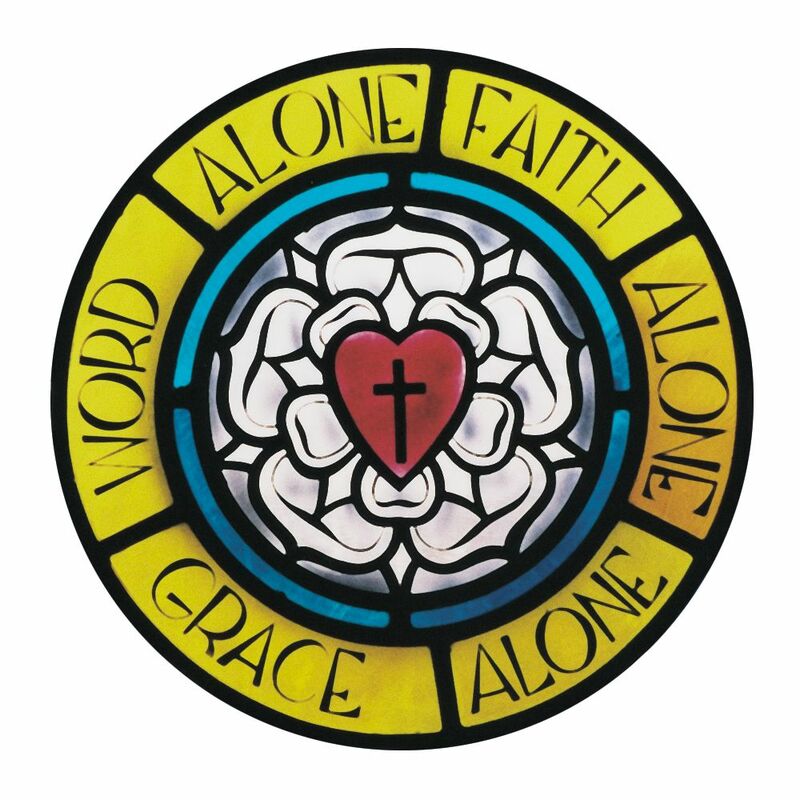 Luther began translating parts of the scriptures in 1517. In 1521, Luther was kidnapped by five armed riders while returning to Wittenberg from the Diet of Worms. They kidnapped him and brought him to Wartburg Castle to keep him safe from harm. For 10 months, from May 4, 1521 to March 1, 1522, Luther’s hideout was Wartburg Castle. (You have to see the movie or if you prefer, read the book). This was the place where he would translate the New Testament into German. No one knew where he was in hiding and when he did leave the castle, he grew a beard, dressed up as a knight and called himself “Knight George” (Junker Jorge). Luther wanted to make the Word of God available to all of the German people so he translated the New Testament from the original Greek into easy‑to‑understand German. He completed the translation from Erasmus’ text which was a special new edition of the New Testament in Greek with a Latin translation. It was said that he completed the New Testament in three months. Three months is not much time to translate an entire New Testament. He must have had to work extremely hard. There were only 5,000 copies of the first edition of the New Testament (printed in Wittenberg by Melchior Lotter). Each copy costs no less than 1 ½ gulden (I am not sure what this would be equivalent to in today’s dollars). Luther did not make a financial profit from the translation. To make a profit would have been unthinkable for Luther. This bible became the people’s bible and it helped shape the common German language. This bible translated into the contemporary language of the common people did a great thing for the German language because it unified the various German dialects into one. It was used as the norm for the next four hundred years (much like the King James Version was in the English-speaking world). I think it would be safe to assume that today’s translations in modern languages around the world will also unify hundreds of dialects around the world. After completing the New Testament, he continued translating the Old Testament. His colleagues at the University assisted him in this endeavor. By 1534 he completed the translationf the entire German Bible.